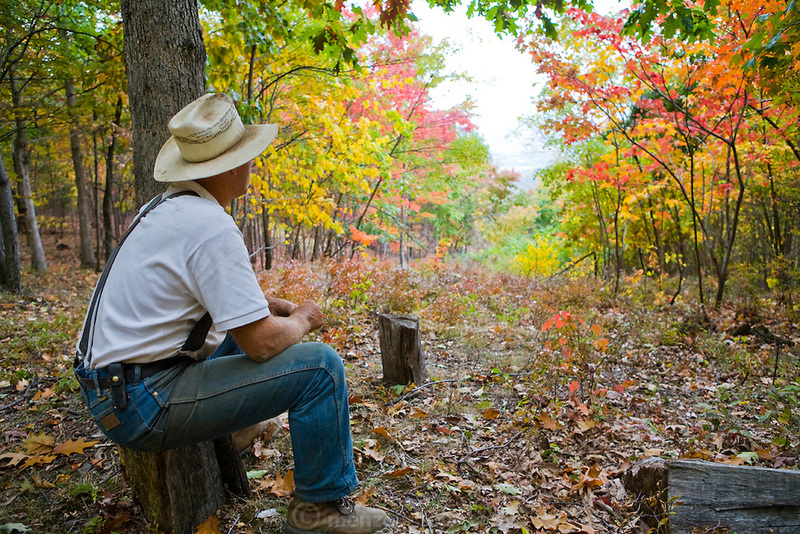 Joel Salatin, a farmer and author, sits in a woodlot at his farm in Virginia's Shenandoah Valley. (Joel Salatin is featured in the book What I Eat: Around the World in 80 Diets.) MODEL RELEASED.